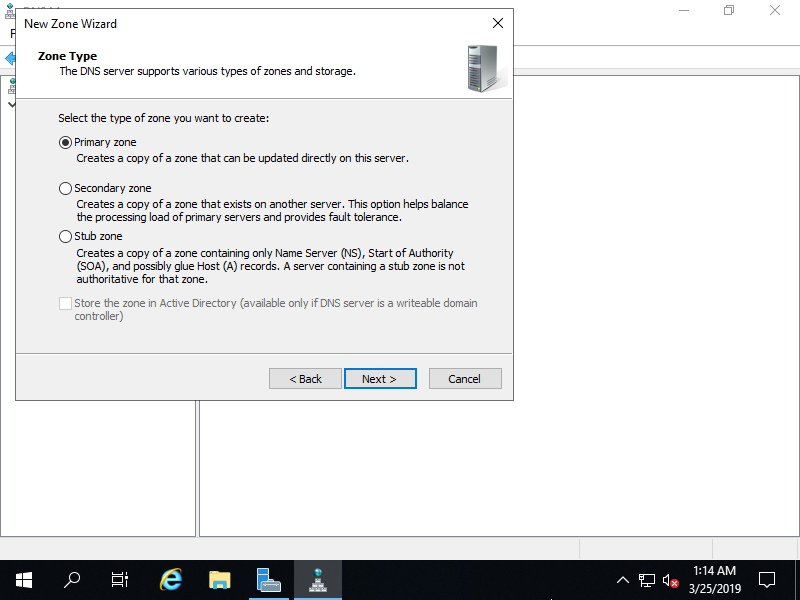  For example, Add Reverse lookup Zone with settings of network [10.0.0.0/24], Zone-File [0.0.10.in-addr.arpa.dns]. 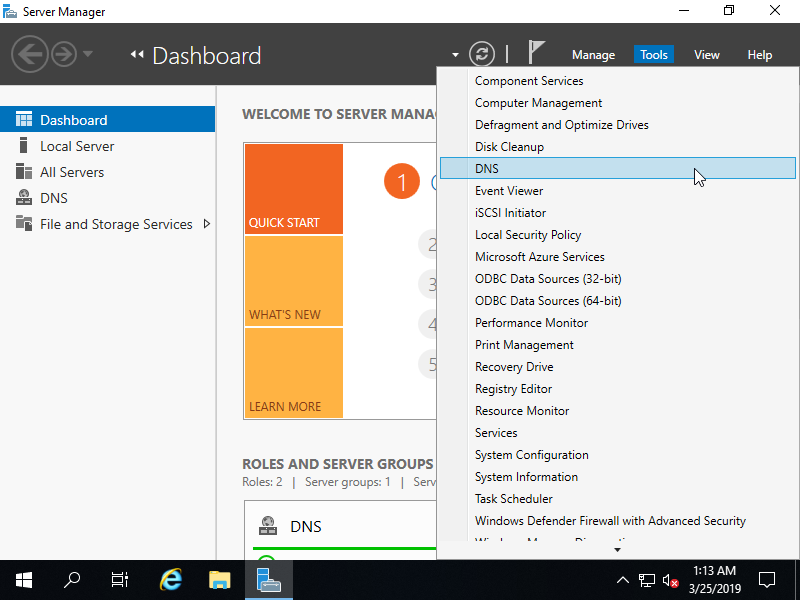 Run Server Manager and select [Tools] - [DNS]. 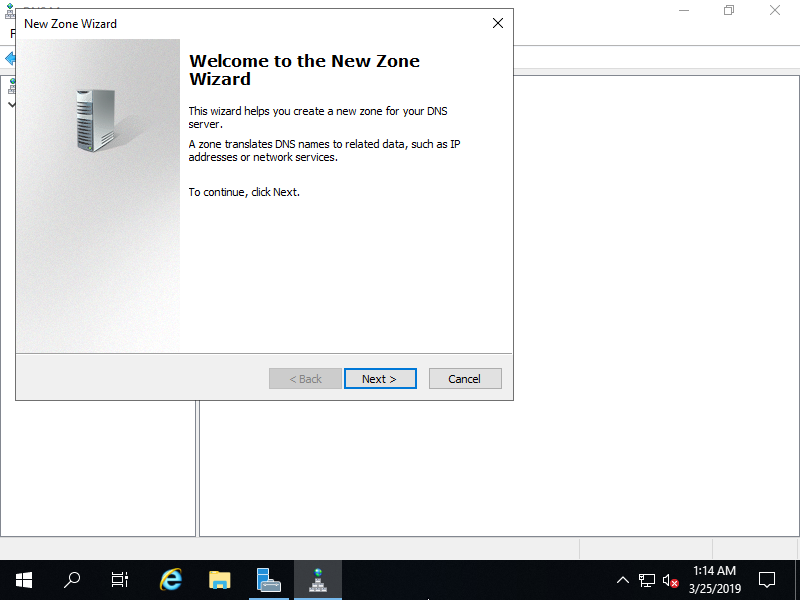 Select own Hostname on the left pane and right-click the own Hostname to show menu on the left pane, then select [New Zone...]. 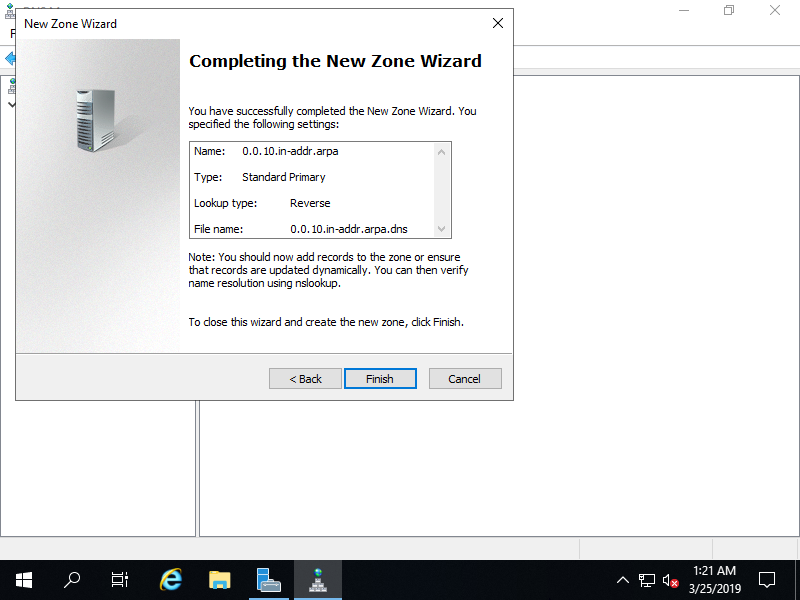 Check a box [Primary zone] and click [Next] button. 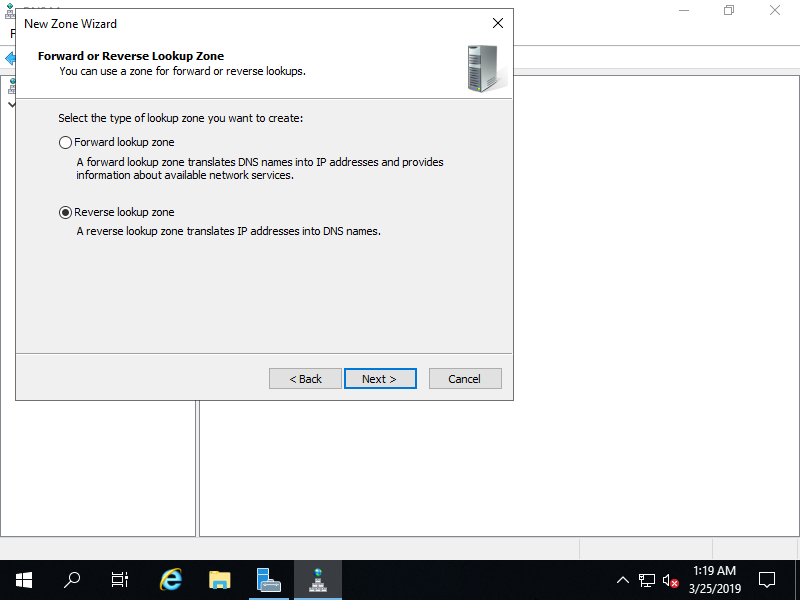 Check a box [Reverse lookup Zone] and click [Next] button. 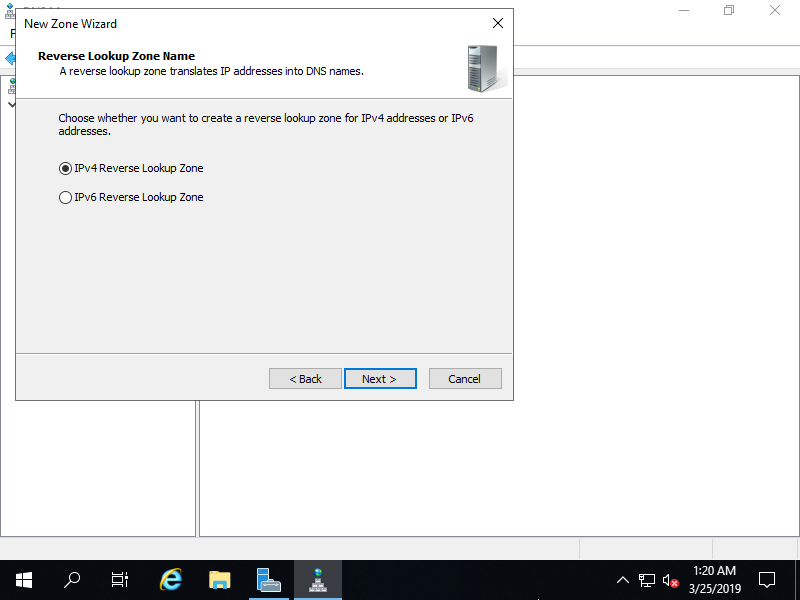 On this example, configure IPv4 zone, Check a box [IPv4 Reverse lookup Zone] and click [Next] button. 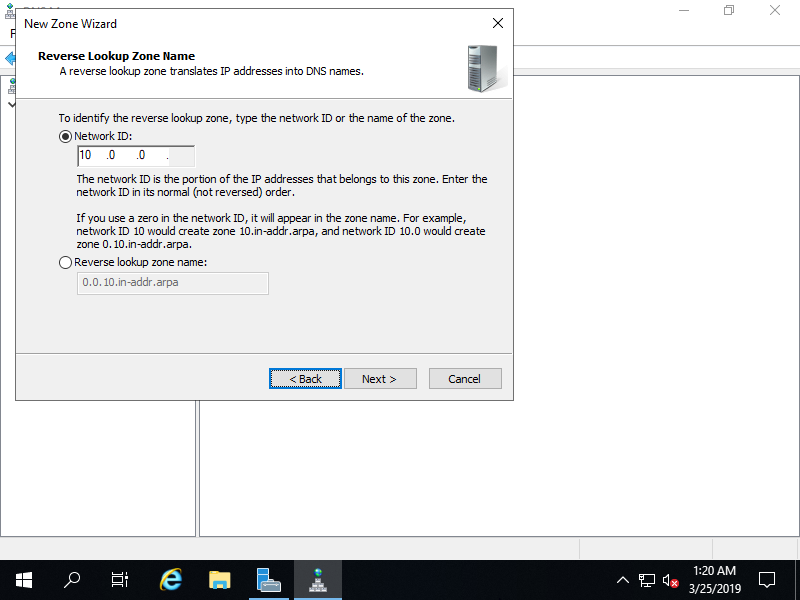 Input [Network ID]. The example follows is for the case 10.0.0.0/24. 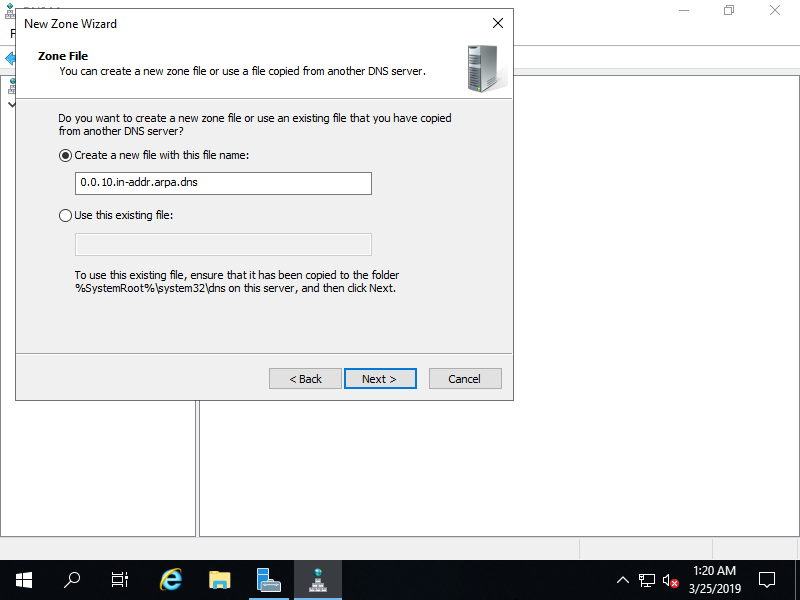 Set zone-file-name and click [Next] button. 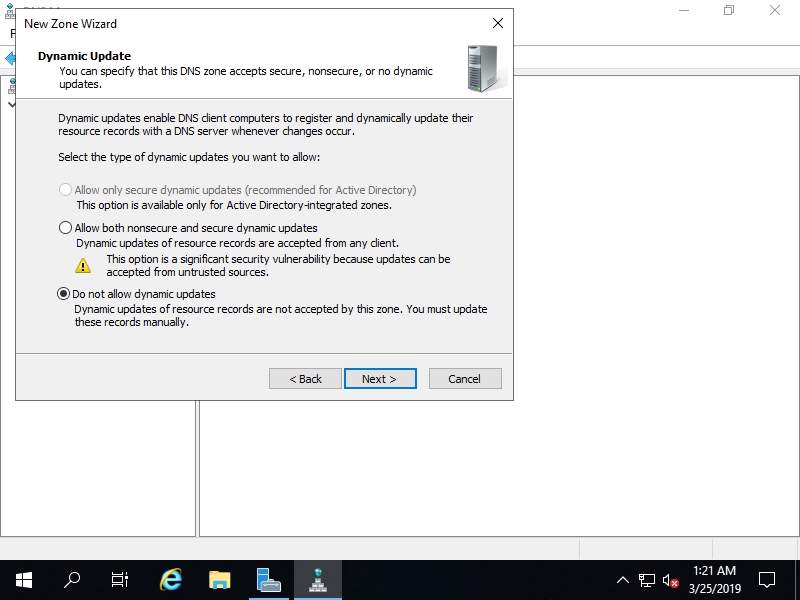 It's OK to keep default for zone-file-name. Click [Next] button with keeping default. 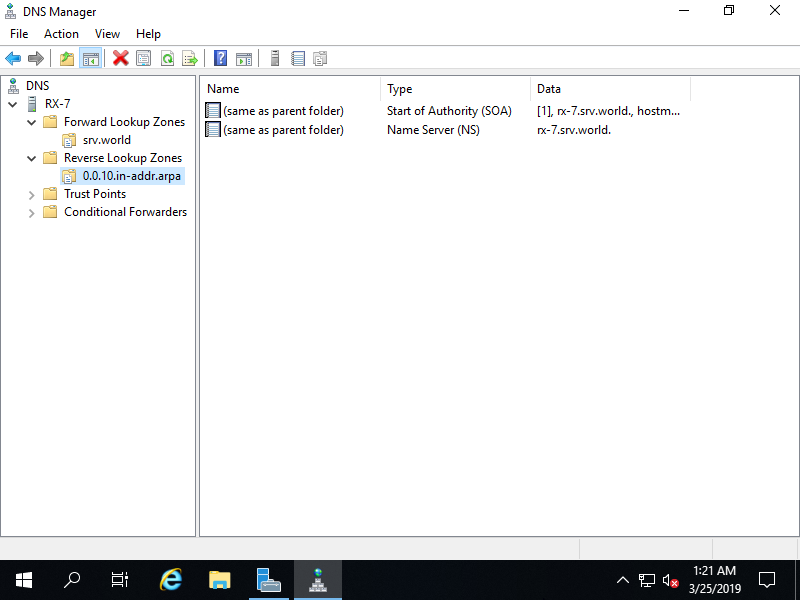 A new zone has been added under the Reverse lookup Zone.